Hello, it’s that time of the week again when we look at the latest recruitment and appointment news in the industry. Just email us some information on your company’s latest moves, at press@estateagenttoday.co.uk - then we’ll tell the industry. Let’s start with a big story - no fewer than 30 promotions in one company, the 15-branch Fisher German. The promotions were made at nine offices after the individuals took part in Fisher German’s inaugural ‘Pathway to Partnership’ scheme, which aims to prepare associate directors for the many responsibilities of being a partner. Candidates who are put forward to complete the year-long programme are required to undertake a variety of training and tasks which develop their leadership skills and management approach. The firm has also announced that head of planning Liberty Stones and head of infrastructure services Richard Broome have accepted an invitation to join the equity of the partnership. Meanwhile the high-profile industry trainer and consultant Nicky Stevenson, a former managing director of the Property Academy, has become team director for Keller Williams UK’s flagship London hub based in Mayfair. Stevenson has been working on awards events and on consultancy activities with estate agency owners and directors across the country to help them overcome the challenge of growing their businesses in a highly-competitive market. Now let’s see what’s new at the Land & New Homes Network, where Mark Bevan joins as an associate director, having previously worked at Reapit. “This is a massive opportunity for me ... there’s something special happening at the Land & New Homes Network and I want to be part of it“ he says. Mark’s role will see him look after a diverse selection of responsibilities including account management, training, client liaison and the recruitment of new members. And it’s a move, too, for Steve Tolfree. After 15 years, he has left Ravensworth and has moved to industry print and direct mail organisation Print Concern. Steve is charged with identifying business opportunities and maximising sales: “It’s an exciting challenge” he tells us. PropTech conveyancing platform Search Acumen has appointed Charlotte Cripps as commercial real estate client relationship manager. She has over five years of experience working with real estate professionals and conveyancers, most recently tmgroup, where she worked as a key account manager. Another PropTech firm, Spotahome, has appointed Angel Azcarraga - formerly working on customer search experience at Amazon - as chief technology officer. 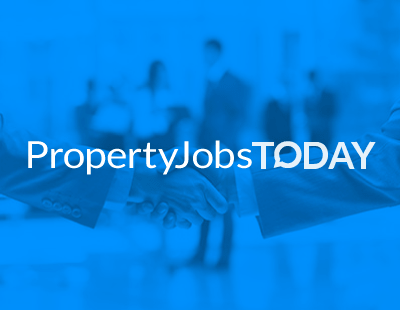 London-based Spotahome is an international online rental property listings service, and says it will nearly double its workforce during 2019 to be made up of engineers and product managers, over 100 of which will sit under Azcarraga’s lead. And finally this week specialist buy to let lender Landbay has appointed Helen McKinney as Head of Sales for the South region. Additionally, Ian Hall and Rob Stanton have been promoted to Head of Sales roles for their respective regions in the North and the Midlands. Helen is joining Landbay from OneSavings Bank, where she spent almost three years as a Senior Business Development Manager. Ian and Rob’s promotions are a response to their commitment to the company and will enable them to continue to build their teams and enhance Landbay’s presence in their respective regions. The firm says these appointments show Landbay’s commitment to achieving ambitious growth in 2019 with a focus on sales, underwriting, and technology.